Internet service providers offer different plans for home Internet If you have too much use of Internet, you can go for unlimited usage plan that costs higher. But for normal Internet user, a limited Internet plan is good. This kind of plans are cheaper and comes with a quota. But there is always a risk of exceeding the quota. In this case, your service provider will charge you higher. Unlimited plans also has a high speed quota. So, it is nice to have a tool that help you to monitor your Internet usage. With the help of these tools, you will never exceed your data quota. 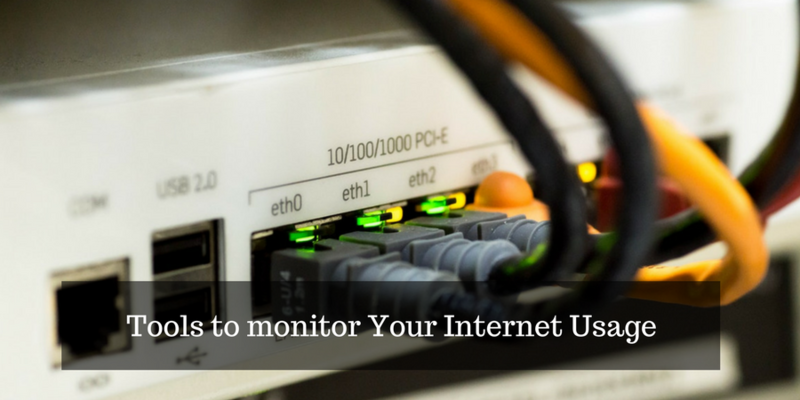 In this post, I am listing 5 free windows programs that will monitor your Internet usage. Networx is a nice tool to track all your Internet usage. It adds an icon in task bar. Hover icon to see Internet usage. 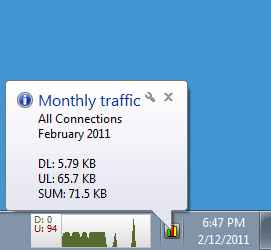 To see usage graph of each day, click on the icon in task bar. You can also set daily, weekly or monthly limit for your data usage. 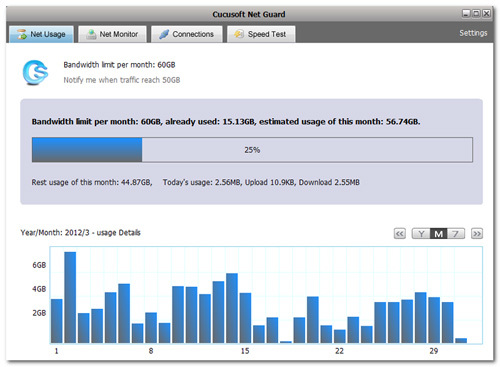 Cucusoft Net Guard is another nice and easy to use tool that helps you to keep track on your Internet usage. This tool comes for free, but while installation, you need to register the product with a valid email id. 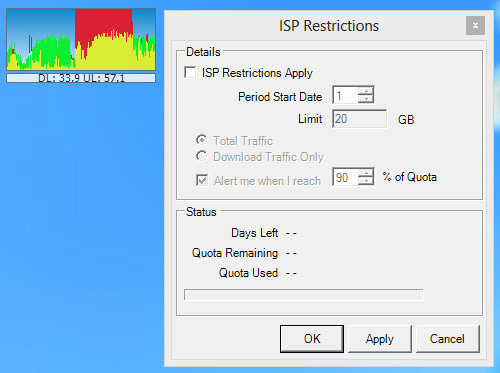 Check which program is connected to Internet and set your daily quota to receive reminders. BitMeter 2 is another tool that display a desktop widget meter graph of your Internet usage and speed. Set your daily limits and get notifications before you reach the limit. You can also view custom stats sorted by hours, days, and months. 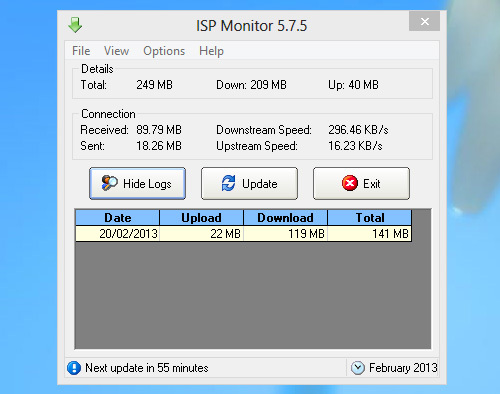 ISP Monitor is also a nice tool to monitor your daily Internet usage. In this tool, you need to set it first by changing adapter settings. One thing that I miss in tool is that we cannot set quota reminder. But logs are available to check the data usage. NetSpeedMonitor adds an icon permanently on the task bar to check download and upload speed along with data usage. It also display all programs connected with Internet. It lacks quota reminder, so you need to check everything manually.